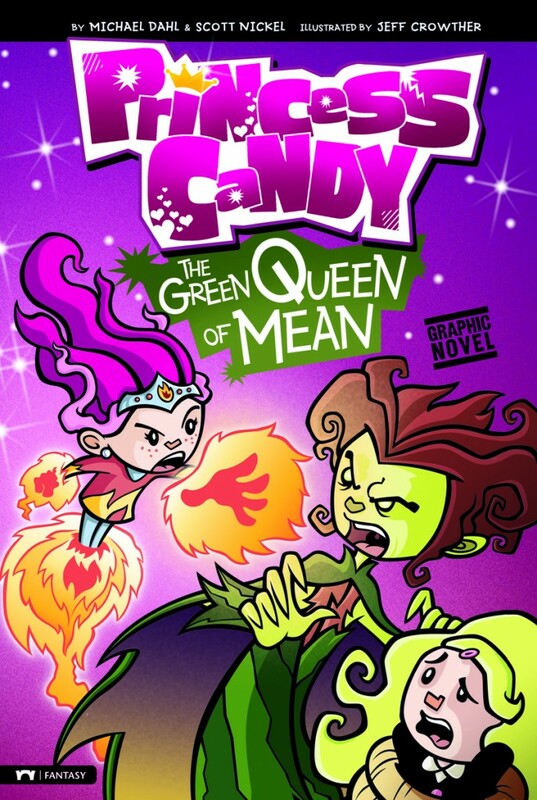 Average students are turned into superheroes (or villains) with a simple pop of candied goodness. Available in ¡Tierra!, ¡Fuego!, ¡Aire!, and ¡Agua! varieties, these morsels harness the power of the Spanish-worded element (earth, fire, air, and water) and are used to solve schoolyard brawls in the Goth town of Midnight. 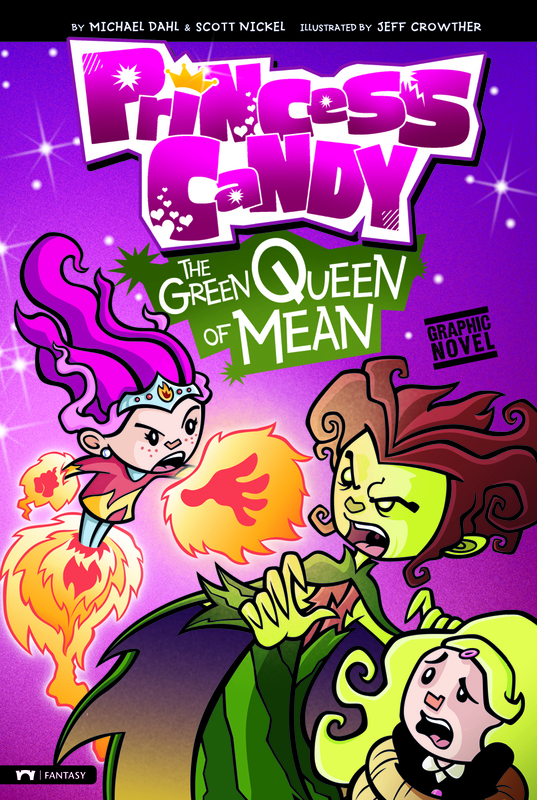 While Halo Nightly normally steals the show in this young readers’ version of a graphic novel, it’s Flora Fawn in The Green Queen of Mean who features prominently – and not always in the best light. Flora is a seemingly good-natured, well-intentioned environmentalist who dines organically (no sugar, no fat, no chemicals), but she gets a bit riled up when it comes to litterbugs…and it shows. Her temperament spirals out of control following a fiasco with arch nemesis Doozie Hiss and her sabotage of a group project focused on pollution. It’s a hard lesson to learn, but some methods are better than others when trying to spread the green word. As Halo observes, “Sometimes people need to see what’s good…instead of hearing what’s wrong.” Wise words for all of us activists to keep in mind, even the youngest ones. A healthy dose of both, I think, goes a long way. All in all, a good read, especially for those new to the graphic novel format. Some veg parents may not appreciate the “green” kid as being obnoxious, short-tempered or hippy-like. After all, we really don’t suffer or lack good eats on a plant-based diet and most of us are pretty genial (or so I’d like to think).